Welcome to Miami Diaper Bank's Scrapbook, a place where we can share with you all the amazing things happening for our organization + community! 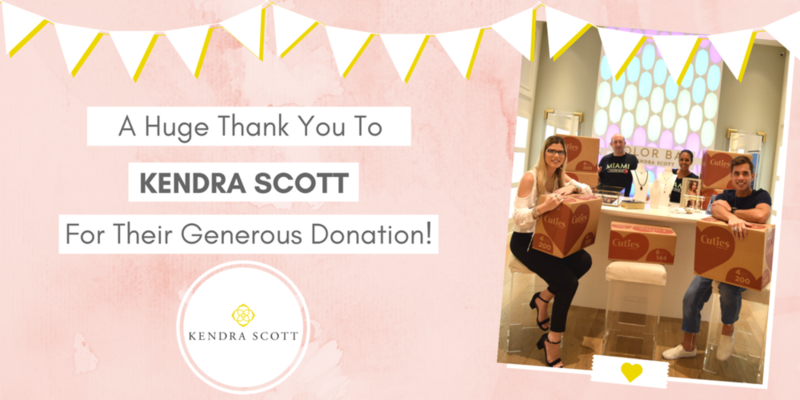 We're so grateful for Kendra Scott's generous corporate donation to help us with our Hurricane Irma Disaster relief efforts in providing diapers to babies and families in need! We couldn't make a difference in the lives of South Florida families without the help of our amazing community partners like Lotus House, Ronald McDonald House & Pediatric Mobile Clinic. The Aventura Police Department came to our rescue and helped deliver diapers to the Keys so the Florida Keys Healthy Start Coalition could get them to families affected by Hurricane Irma! Thanks to Frida Baby and their entire team we were able to bring extra holiday joy to the ladies of Cope Center North at the first holiday party. We are beyond grateful for their support. This Year’s Pre-Mother’s day family fun day was a huge success thanks to the wonderful ladies of Mainstay Doulas and No Child Wet Behind Organization. because of their commitment we were able to collect over 11,000 diapers to keep South Florida babies clean, dry and healthy! Our summer kick-off party with our friends and partners at Kendra Scott brought fun, and shopping for the entire family. From hair braids to fine jewelry and even light bites it was an amazing experience. Special thank you to our hosts Paula Zelaya and Ana Ortuno Aravena for being such great supporters of our mission!